I am a fast learner. Being a freelance writer all my life, and considered in the taxation scheme of the Philippines, as a “professional”, I was asked by my past employer, ABS-CBN to take care of all my tax computations. Unlike “regular employees”, whose tax computations are taken cared of the company and all they have to do is sign their tax forms and submit. I literally studied, painstakingly, how to compute my own taxes... from collating my own receipts, maintaining a ledger, and memorizing all the tax deadlines all year long. Whew! But I survived for 20+ years. But I know it will be quite complicated if you are a small-and-medium enterprise, with employees under your supervision. A big thank you to technology – because “accounting” is made easier and less complicated – through INTUIT QUICKBOOKS ONLINE. With INTUIT QUICKBOOKS ONLINE, you can track payments, revenue, accounts payable, and invoicing. It is a Cloud accounting solution that’s secure, accessible and easy to share with an accountant. Built for mobility, you can access your account on your laptop or mobile phones, anywhere. INTUIT QUICKBOOKS ONLINE is used by 1.5 SME’s in the world. And is one of Forbes’ World’s Most Innovative Companies in 2013. * GET PAID FASTER – CREATE INVOICES INSTANTLY. Create quotes and invoices wherever you are, with a few taps. 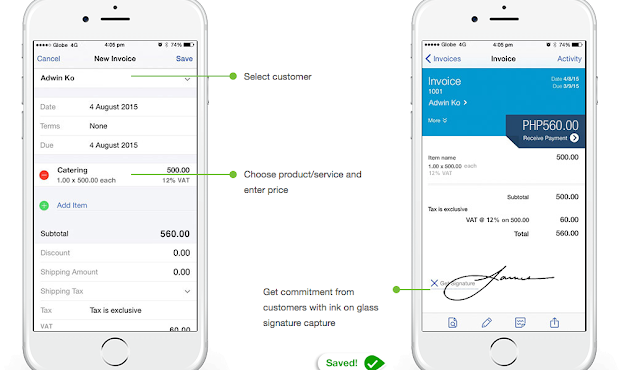 * SAVES TIME – CAPTURE RECEIPTS ON THE GO. Take photos of your receipts and create expenses wherever you are – always be ready for tax time. * There is no installation required. Simply log in to QuickBooks through your web browser or the QuickBooks mobile app. * No more back-ups. Never worry about saving your file to a USB drive. QuickBooks Online is backed up with bank-level security. * Less on your to-do list. Schedule reports to run automatically, so you don't have to worry about them. * No dunky company files. You and your accountant can collaborate remotely on your data at the same time, and you’ll see your data updated in real-time. * Less paper to track. 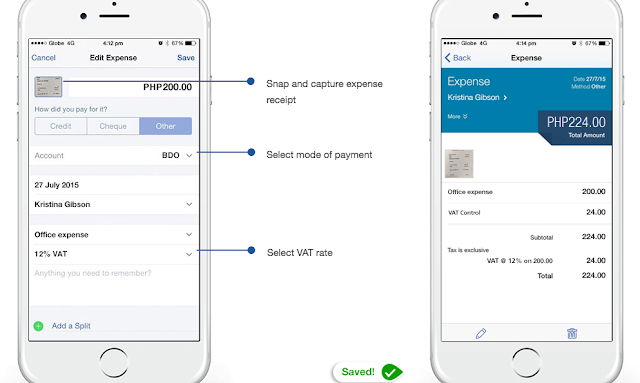 Take photos of receipts and use the mobile app to attach them to transactions in QuickBooks. * Less Stress. Our experts can help you get started, answer questions, and more. 7:30am-5:00pm (+8GMT), Mon-Fri. So what are you waiting for? In this day and age that TIME becomes a prime commodity because of the many hours we waste traffic; or multitasking or have 2 jobs to make ends meet; wouldn’t it be nice to gain a little more TIME for yourselves and your family, by spending less TIME on accounting? Visit http://www.intuit.ph/ for more information on how to download and maximize the full potential of Intuit Quickbooks Online. You may also visit http://mseedsystems.com/, to know more about Intuit Quickbooks Online.